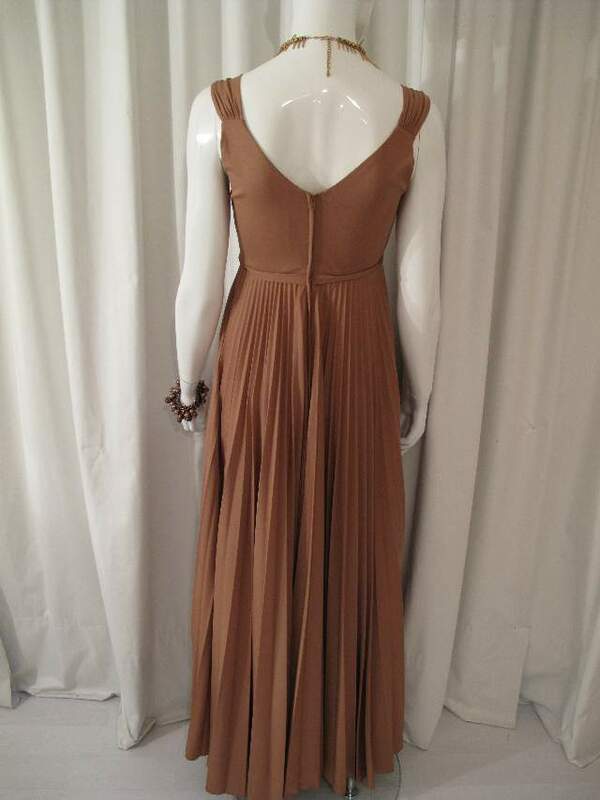 1970's Butterscotch sunray pleated, empire line full length vintage gown. Sleeveless ' V ' necked gown, ruched from bands at the shoulders, gathered into band below bust. 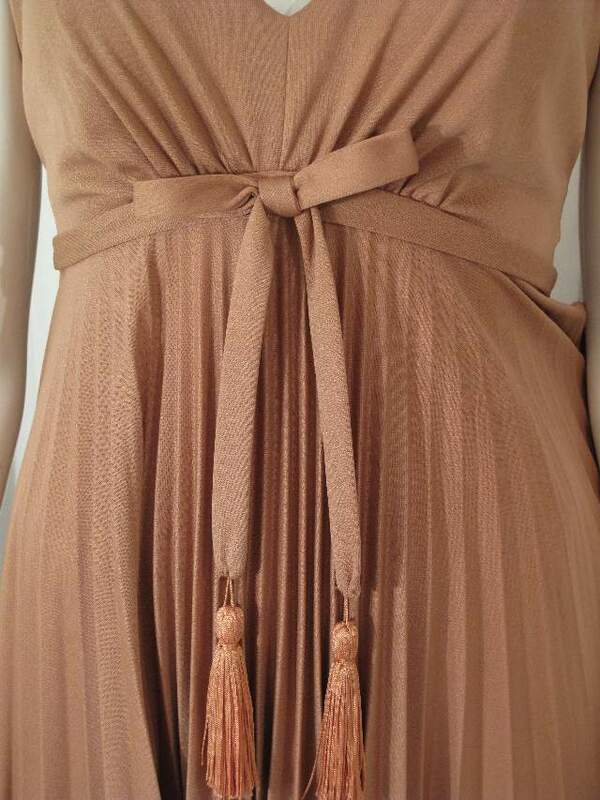 There is a self fabric fixed bow at the front with ties, ending in silky tassels. The skirt is a full circle of sunray permanent pleats, which swirl beautifully when walking. This piece, whilst being vintage has a contemporary feel to it and is in a lovely warm colour. Need high gold snakeskin sandals and antique gold vintage jewellery.